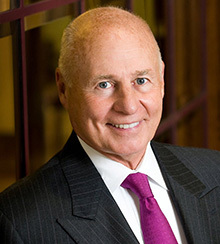 Thomas Girardi, a partner in Girardi|Keese, has been practicing law since 1965. Mr. Girardi specializes in commercial litigation, product liability law, toxic torts, and bad faith cases. He is an associate professor for Loyola Law School, and was the youngest member to ever be admitted to the International Academy of Trial Lawyers, an organization limited to 500 lawyers in the world. He was president of the International Academy of Trial Lawyers 2005 to 2006. Among Mr. Girardi’s other associations, he is a member of the Inner Circle of Advocates, an organization limited to 100 lawyers in the country who have obtained the largest verdicts in the United States. In 2010, he was honored the “Compassionate Gladiator”, one of three lawyers in the United States. He is one of the past national president of the American Board of Trial Advocates. He has been listed in the "Best Lawyers in America" for 20 years and the "Daily Journal’s" top lawyers in California since the list was first printed. In 2002, he was honored by the Los Angeles Business Journal as one of the “Most Powerful Attorneys” in Los Angeles. He was inducted into the “Trial Lawyer Hall of Fame” by the California State Bar in 2003. With this presentation, he joined eleven other lawyers in the State who have been so honored since the award was first presented. He was awarded for his outstanding public support for the Association for Los Angeles Deputy Sheriffs in 2003. He is the recipient of the 2004 Ted Horn Memorial Award from the Consumer Attorneys Association of Los Angeles and was just inducted into their 2008 Hall of Fame. He is listed in 2008 Benchmark’s America’s Leading Litigation Firms & Attorneys. In a recent survey of 65,000 lawyers to determine the finest lawyer in California, he was the highest vote-getter. He has been appointed to the Judicial Council of California by Chief Justice Ronald M. George. He is the recipient of the Irish American Bar Association’s Daniel O’Connell Award and the Italian American Lawyers’ Association’s Champion of Justice Award. He’s on the Dean’s Advisory Council at the University of California-Irvine, School of Law. At the Litigation Counsel of America’s Fall Conference 2008, he was inducted as a fellow. Fellowship in this organization is highly selective and by invitation only. He is a member of the 2008-2009 Order of Distinguished Attorneys of the Beverly Hills Bar Association. He is a trustee for the National Judicial College 2008 through 2012, currently serves on the Library of Congress Trust Fund Board, 2010 National Advisory Board Member of the Association of the Plaintiff Interstate Trucking Lawyers of America and 2011President of the Italian American Lawyers’ Association. He just recently is the recipient of the “Excellence in Advocacy Award 2012” from the Beverly Hills Bar Association. Loyola Law School dedicated the Chair in Consumer Protection Law to Tom Girardi May 2012. Recently, he has been named as one of the Top 100 Most Influential Lawyers in the nation by the National Law Journal 2013 and the recipient of the “Hall of Fame” Award by the Association of Southern California Defense Counsel (given to the plaintiffs’ lawyer they feared the most). Recipient of the 2013 Jack Webb Award by the Los Angeles Police Department. In April 2014, he was inducted into The American Trial Lawyers Hall of Fame. Loyola Law School awarded him the "Most Inspirational Alumnus" in 2014.